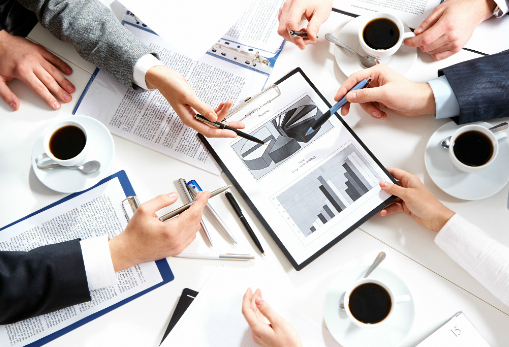 This website contains information related to the study process, houses project documents and provides for public involvement opportunities and contact information. The website will serve as the central hub for the project. Documents, meeting announcements and other information will be posted as it becomes available. Please check back regularly! In 2013, FDOT completed a high-level Concept Study that assessed the area extending from Tampa Bay to Northeast Florida. This study identified long-term mobility and connectivity needs including: growing demand for moving freight; increasing delay and decreasing reliability on existing highways, including Interstate 75 (I-75); significant crash rates along portions of I-75 as well as major rural roads; limited modal options in many parts of the study area; limited options for high-speed, high-capacity travel between Tampa Bay and Northeast Florida, two of Florida’s largest urban areas; and limited connectivity to Rural Areas of Opportunity and other places targeted for economic development. The Concept Study recommended that FDOT conduct a more detailed Evaluation Study to assess the feasibility of developing a multimodal transportation corridor between the northern portion of the Tampa Bay region and I-75 between Wildwood and Lake City. The Concept Study concluded that such a corridor has the potential to provide relief to I-75 while also improving connectivity to growing urbanized areas and creating economic development opportunities in rural areas. 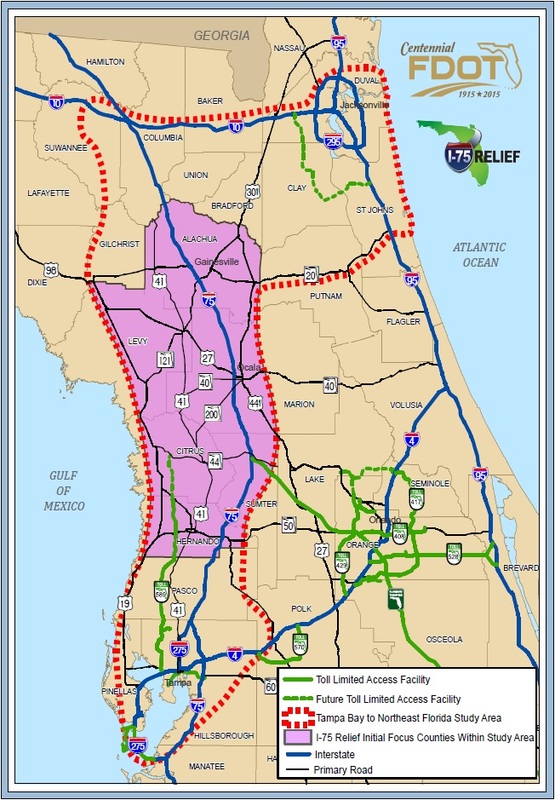 Such a corridor also could have statewide impacts including relieving other existing corridors such as Interstate 4 and US 301. The Concept Study also recommended that this corridor be considered in the context of a long-term vision of improving connectivity between Tampa Bay and Northeast Florida. Building on the recommendations coming out of the Concept Study, the FDOT initiated the I-75 Relief Study. 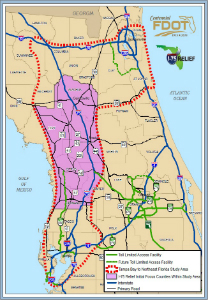 The purpose of this study is to evaluate the potential for enhanced and new multimodal and multiuse transportation corridors between the Tampa Bay region and I-75 in North Central Florida. The multimodal/multiuse components mean the study will be evaluating options for new or enhanced roadway options and other modes such as passenger rail, freight rail, trail facilities, and utilities (water, power and other). This study will involve the development and evaluation of transportation corridors to assess future travel demand, impacts and enhancements to the natural, social, cultural and physical environments, multimodal and multiuse screening evaluations, agency coordination and public involvement. The study is a component of the larger Tampa Bay to Northeast Florida Future Corridor study area and encompasses the area shaded on the map seen here. A future study will evaluate new and enhanced multi-modal transportation corridors beginning at I-75 and continuing to Northeast Florida.